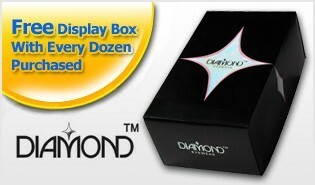 This is a popular model by Diamond Eyewear™, and it's back in stock now! Large lens, round shape, with a cute, cross over bridge encrusted with rhinestones! 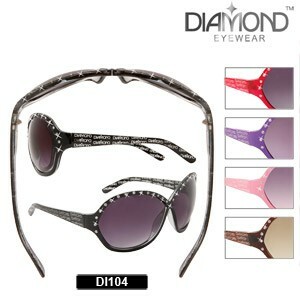 Pink, purple, transparent red and black and brown frames are included in this dozen.